JAPAN is waiting for you! Konnichi wa – Japan welcomes you! Would you like to pay a visit to a modern, vibrant city? Or do you prefer mysterious traditions and picturesque landscapes? Whatever you are looking for, Japan can offer it to you. Visit Japan, the exotic country in the Far East. Become a witness of the past, explore Buddhist temples, majestic castles and walk in the footsteps of the samurai and shoguns. Stroll through Tokyo or enjoy a long shopping trip. Take a rest in one of the many beautiful japanese gardens of the city and visit the Imperial Palace – all this is possible with our Japan travels. Get an idea of how diverse and yet unique in Japan really is. We arrange our Japan trips for small groups with an English speaking Tourguide, who is an expert for Japans culture and history. 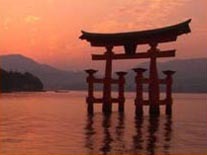 This trip offers you the best of Japan in 13-days. 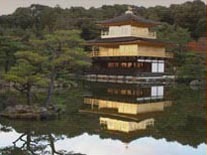 Learn about ancient Kyoto and modern Tokyo in a small group of like-minded people. 18 days in Japan. This tour has everything, the 13-days trip has and more! 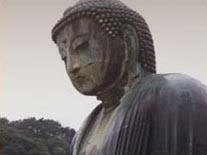 See the beautiful Nikko and the ancient capital of Kamakura. Enjoy the ‘door to Japan’ Fukuoka and the fascinating scenery of an active volcano as well as the cultural and historical highlights of the main island.